Puppet and Mushroom need your help. Mushroom and Puppet have the chance of a lifetime. 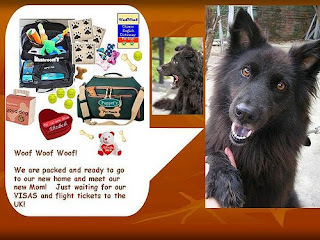 Elizabeth, who once lived in Taiwan and adopted from Animals Taiwan, moved back to the UK. She never forgot about Taiwan and the animals in need here. She has kept in contact with us and has been regularly showing her parents our wonderful furry friends. 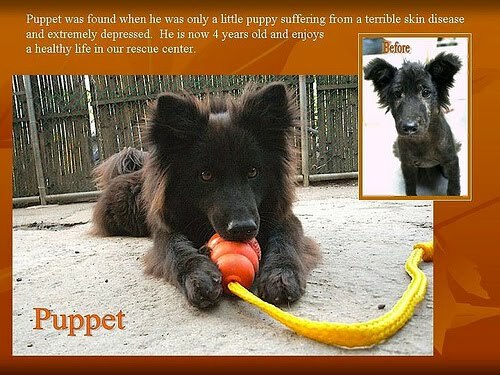 Elizabeth's pa⋯⋯rents fell in love with Mushroom and Puppet and want to adopt them. After long consideration AT has agreed. We are now in the process of getting things ready for them to fly. To go to England isn't an easy process and takes over 6 months to complete. It is also a very expensive process, so this is where YOU come in. We need help raising funds. Of course Elizabeth and family will be raising funds on their side, but it is expensive and can range from $50,000 to $60,000 per dog. While we'll miss Puppet and Mushroom it does mean we'll have space to rescue more dogs. Please take a look at the pictures and info.